No one has time for a fly infestation. If the little pests are buzzing around your kitchen or taking over your garden, you don't want to spend your day chasing them around with a fly swatter. Instead, there are several different options for effectively trapping flies that range from homemade remedies to store-bought traps. Learning more about what attracts flies can help you choose the trapping method that's best for you to keep them away for good. There are a few different types of fly infestations that you might have to battle. One of the most popular types of flies you'll encounter indoors is fruit flies. As the name implies, these tiny insects are drawn to fruit — or more specifically, toward fermentation. They'll start to swarm the fruit bowl as soon as they smell the fruit ripening, and they also love the smell of an opened bottle of wine sitting on the countertop. 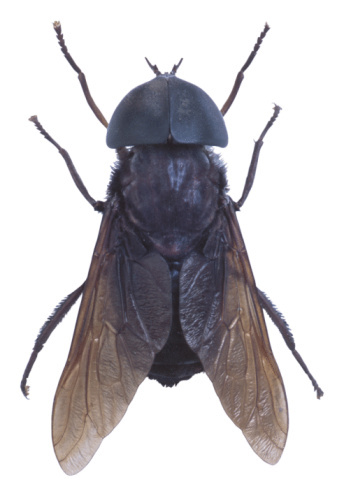 The other most common type of fly infestation is house flies. These types of flies are attracted to more than just fermentation. If you have an outbreak, you can find them anywhere from the pantry to your dog's food bowl to the bathroom. 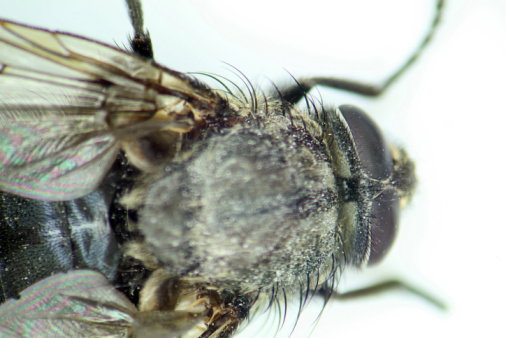 Flies aren't just annoying and gross. They can carry germs and disease, so taking measures to get rid of them as quickly as possible can make your home cleaner and safer. There's an old adage that you catch more flies with honey than you do with vinegar. The saying is meant to remind people that sweetness can often win you more admirers and affection than acid can. That's true, as most flies are drawn to sugar. But adding vinegar to a trap will also help keep away pests that love sugar but are repelled by vinegar. White or apple cider vinegar. Sugary ingredients, such as honey, sugar water, maple syrup or small chunks of ripe fruit. Start by getting your bottle. A plastic beverage bottle works best here because the bottle's neck will prevent flies from later exiting the trap. If you don't have any bottles around, though, an old mason jar or drinking glass that you don't want to use again will also work. Next, add fly trap attractant to your bottle. Start with whatever sugar you have on hand. 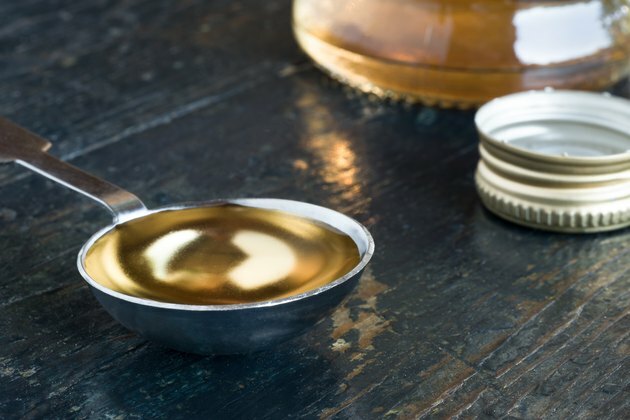 Mix two tablespoons of an ingredient such as honey, syrup or raw sugar with two to three tablespoons of water and add it to the bottom of the bottle. Then, add a few drops of vinegar to the mixture. For added bait, you can also throw small pieces of sugary fruit like apples or pears to the bottle. Lastly, add a few generous drops of dish soap. This will make their wings too sticky to fly away. Lastly, take the piece of paper and roll it into a funnel, with the wide part sticking out of the top of the bottle and the small part inside the bottle. The goal is to have a wide opening where flies can enter to chase after the sugar they smell but then be stuck inside the bottle unable to find that tiny exit hole. Put the trap in the infested area. Within about a day, you should see many fly corpses lingering at the bottom of the bottle. Make sure that you dispose of the entire trap after it has done its job, as the flies can carry diseases. 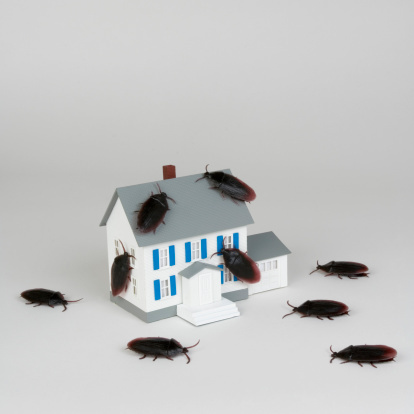 If you're not in a DIY mood, or if you have an infestation too big for a single homemade trap, you can head to your local hardware or home goods store to stock up on store-bought fly bait and traps. One of the most common types is sticky traps or flypapers. These are either sticky pads that can lay on flat surfaces or ribbon-like strips of sticky paper that you can hang in infested areas. They're coated in a sugary bait designed to lure the flies to the paper and then make them unable to wriggle free from the sticky trap. Additionally, sometimes the bait contains a poison that kills them instantly, rather than making them live out their lives trying to get unstuck. Other store-bought traps work as a flycatcher. They're full of effective bait that lures flies into a container where they're unable to escape and eventually drown. These are often reusable and can hold many large flies, so they're great if you have continual infestation issues in outdoor places like your garage or garden. No matter how you rid your home of flies, make sure to take preventive measures like throwing away garbage frequently and storing food in sealed containers to avoid future infestations.